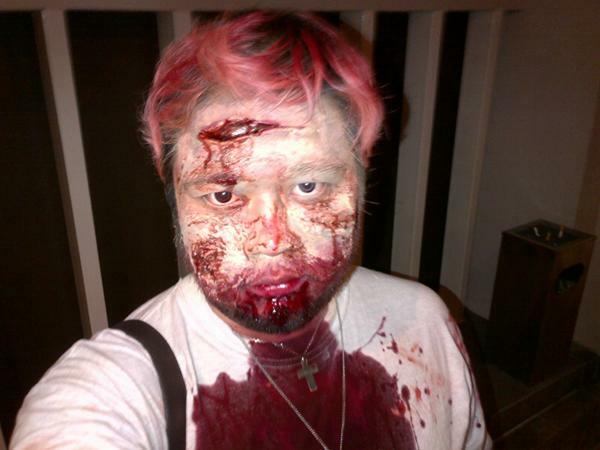 So how was Halloween for you guys? I know generally we don't celebrate Halloween in Malaysia. 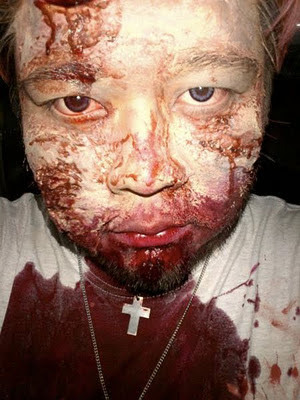 Tapi untuk aku, that's the one day I can go crazy with my effects make-up and practise my skills for my interests in zombies. And this year, Halloween started a little but early. 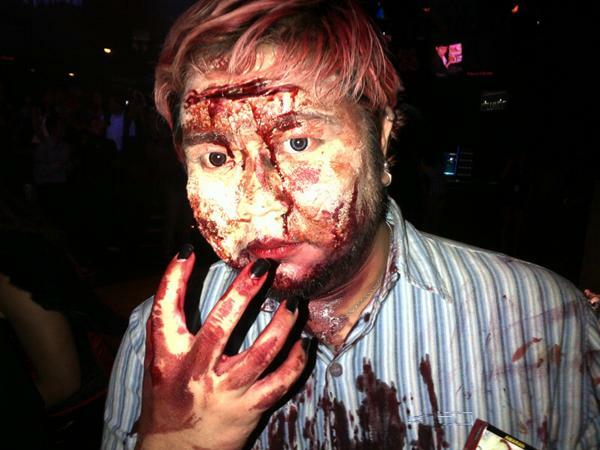 On Friday night, went for the Halloween-themed anniversary party for Hot magazine at Zouk. Thought long and hard whether I should go, and thought... ok... if I have time. Was in KL, and thought of going back to Mont Kiara to change, but a massive storm broke out in central KL and as usual, the traffic backed up so bad that I knew I would never make it back and to Zouk on time. Suka tak suka, made do with what I could get. Lucky me that my make-up effect is all DIY, so no problems in getting the stuff I need. In the parking lot, took me 45 minutes (which is bloody short period since my effects make-up takes an average of two hours at least) to get ready. And guess what? I won the freakiest costume award. 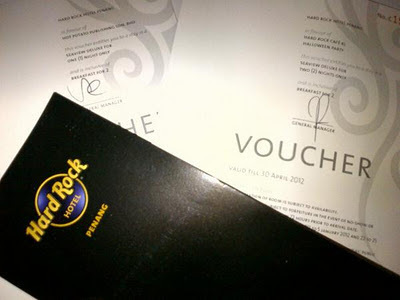 I had a couple hundred worth of movie tickets, products and stuff... but what great was the Hard Rock Hotel Penang stay for 2 days, 1 night. This is the first Halloween that I ever won anything anyway... sebelum ni tak penah menang apa-apa for my efforts and with the win the night before, I thought I'd just parade my zombie variation and see what came out of it. I feel asleep and started my effects make-up at 10m. By 11.30pm, I was done (again, another speed record) and headed to Hard Rock Cafe. And this was my look there. Yes, I won - AGAIN! The second win - two nights in a row. Wow! This is my best Halloween! And the prize? For Best Costume - the prize was 3 days 2 nights stay at Hard Rock Hotel in Penang!!! So jawabnya, aku extended stay lah nanti sana nak lepaskan stress sebab pala pon banyak benda kebelakangan ni. I don't know about you guys and whether you bother about Halloween apart from the scary movies on TV. But for me it was just about practising my effect make-up and I got the pay-off. Yeay! Since I've finally won for my zombie look after FOUR years of Halloween parading as one, maybe next year, I have to look for something different. Thanks. You can tell I love my zombies!